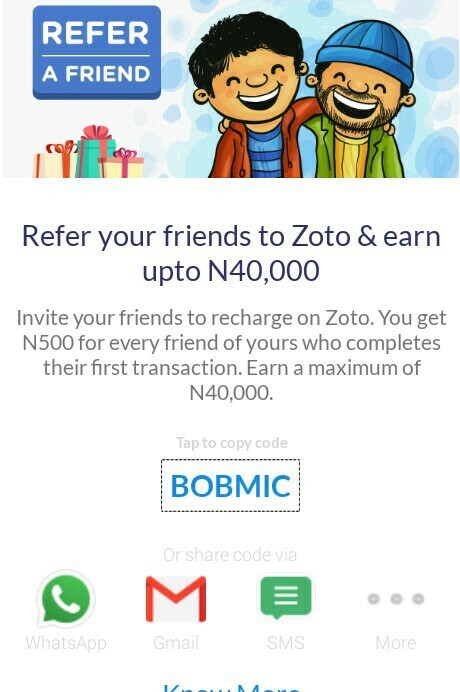 Zoto the Nigerian Recharge mobile App is giving out free N500 worth of airtime to users for their enormous achievement, since the started their service in Nigeria. The celebration is actually for 1 million users milestone and as such, they are giving out free airtime to all participating in their platform. The free airtime is not a referral promo as some may be thinking, you don't need to refer or invite anyone before getting this bonus. All you need to do, is just to update your Zoto mobile recharge app if outdated in order to access this N500 free airtime bonus. => First, click here. to update the latest zoto app. => After that, Launch the Zoto app. 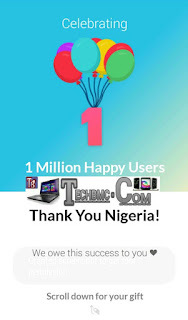 => Now Click where you see "Claim N500 for free" to continue. => Next, click on "confirm phone no" and then input your 4 digit zoto PIN for recharge. => Immediately after that, you will get a message to the number you used to register for zoto app, with the airtime credited to your account. ==>Doesn't select sim, it works on MTN, Glo, Etisalat, and Airtel networks etc as long as, the number was the one used during the registration. => Download and install the Zoto app from this link here. => Enter your valid phone number and email too. => After that, you will receive a verification code on both your phone number and that of your email account. => After the verification, proceed to continue with the sign up process. Note: During registration, ensure you use BOBMIC as your referral if you want to get the free airtime bonus, if not, you won't get. Ask your question if any. And ensure to share this post to friends on your social media platform in order for them to benefit from this too, you can do that with the below share buttons. Thank you.